In September, the Center for Civilians in Conflict charged that Chinese peacekeepers had abandoned their posts during a vicious outbreak of violence involving government and rebel troops, July 2016. This was denied by the Chinese defense ministry. On November 1, the UN released the summary of their special investigation of the UN mission's role in this violent outbreak. Major General (retired) Patrick Cammaert headed up the team. Here is the section of the executive summary that addresses the role of the Chinese battalion (the entire report has not been released). "On the uniformed side, the Force did not operate under a unified command, resulting in multiple and sometimes conflicting orders to the four troop contingents from China, Ethiopia, Nepal and India, and ultimately underusing the more than 1,800 infantry troops at UN House. 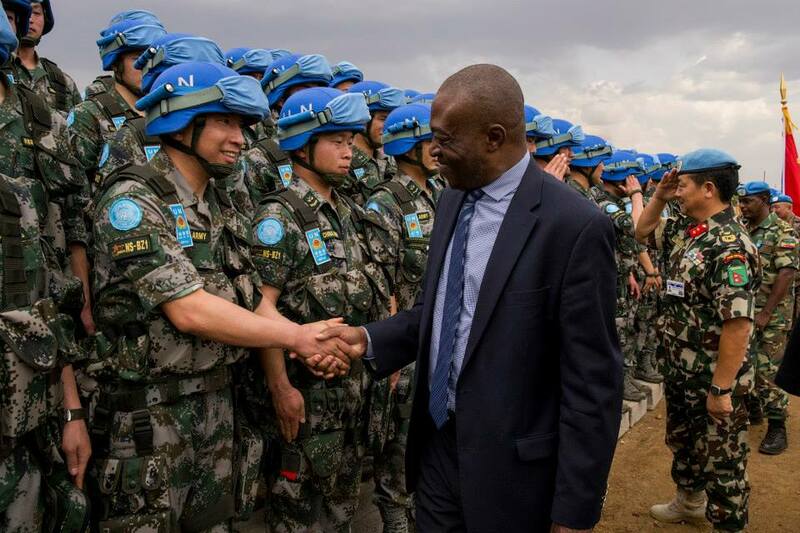 The Force Commander appointed the Chinese Battalion Commander as the Incident Commander, commanding all the forces at the UN House in addition to his own battalion. Furthermore, the Force Commander ordered the Incident Commander to retain an explicit and ultimately confusing command link to Sector South headquarters in Tomping, which was physically cut off from the UN House for the duration of the fighting. This confused arrangement, in combination with the lack of leadership on the ground, contributed to incidents of poor performance among the military and police contingents at UN House. This included at least two instances in which the Chinese battalion abandoned some of its defensive positions at POC [Protection of Civilians site] 1 on 10 and 11 July. The Nepalese Formed Police Unit’s performance to stop looting by some IDPs inside UN House and control the crowd was inadequate." Clearly there was a significant breakdown within the UN force command, which hampered the Chinese role. The Kenyan Force Commander in charge of the UN military mission was dismissed. Yet this does not fully explain why the Chinese soldiers abandoned their posts. I haven't looked into this further, but if someone has, please comment and I will update this post.